Creating meaningful experiences that engage young adults with Jewish community is among Jewish Federations’ most important work. It’s part of our broader vision for a vibrant collective Jewish present and future. Our National Young Leadership Cabinet program has been essential to this effort for decades, helping develop many of today’s top Jewish communal lay leaders. Now, we’re proud to announce a new effort aimed at boosting the skills of Federation professionals working directly with people in their 20s and 30s. 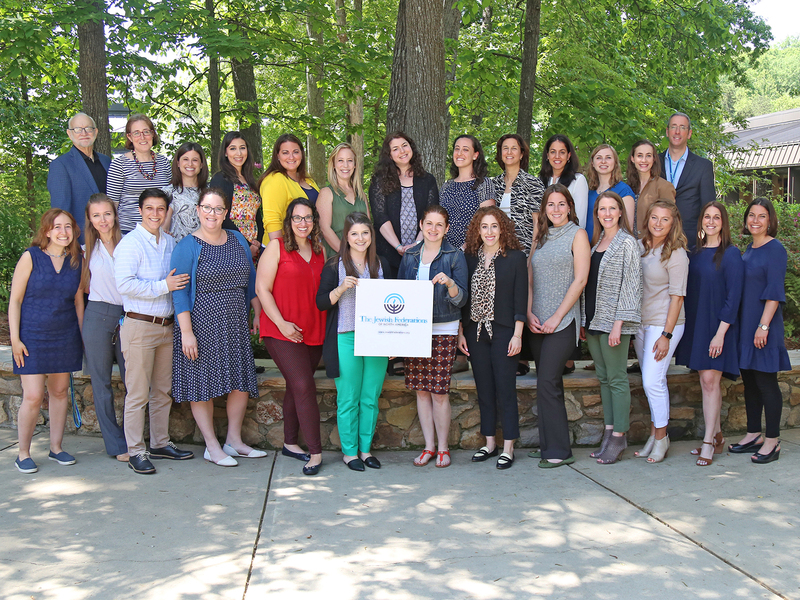 Thanks to an investment from the Jim Joseph Foundation, The Jewish Federations of North America has created the Next Gen Jewish Federation Fellowship, a 20-month comprehensive program offering participants the tools and training they need to lead their critically important work. Joining forces for the first time, the North Carolina-based Center for Creative Leadership and the Jerusalem-based M2: The Institute for Experiential Jewish Education are helping build a course that grows Federation professionals’ leadership skills and connects them more deeply to Judaism, while positioning them as innovators and leaders in the Jewish Next Gen space. The first cohort of the Fellowship launched in May 2018. Applications are now being accepted for the second cohort and are due by 5:00 PM EST on Monday, February 25, 2019. To learn more about the Fellowship, read the Program Overview and contact Eva Stern, Director, Next Gen Engagement, or Rabbi David Kessel, Associate Vice President for Young Leadership & Next Gen Engagement. Learn more about the Federation professionals that make up the First Cohort. Rabbi David Kessel, Associate Vice President, Young Leadership & Next Gen Engagement.